Simple tips for portraits you'll love! Nkechi and I met through a mutual organization which we both volunteer for. When her sister and family had a few hours lay over in Calgary on their way home from vacation she knew who to call to get an impromptu photo shoot on the fly! 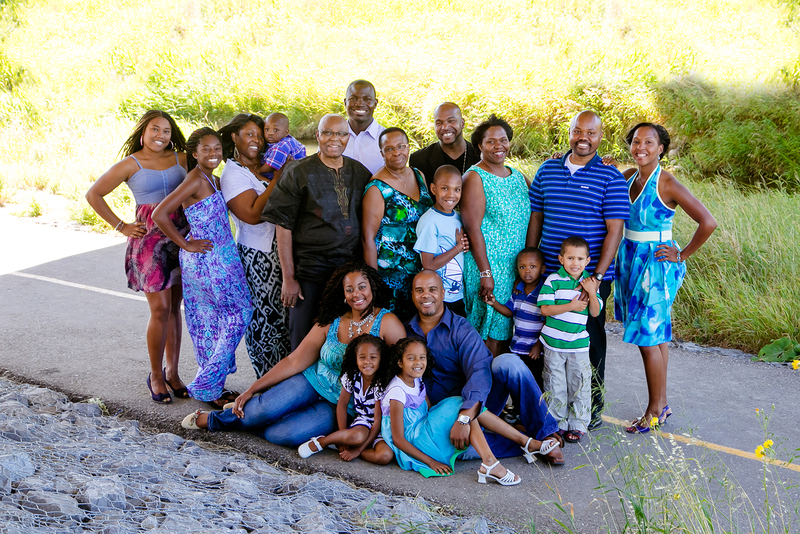 Gathering the entire family for a fast and furious portrait session was a challenge but a lot of fun! 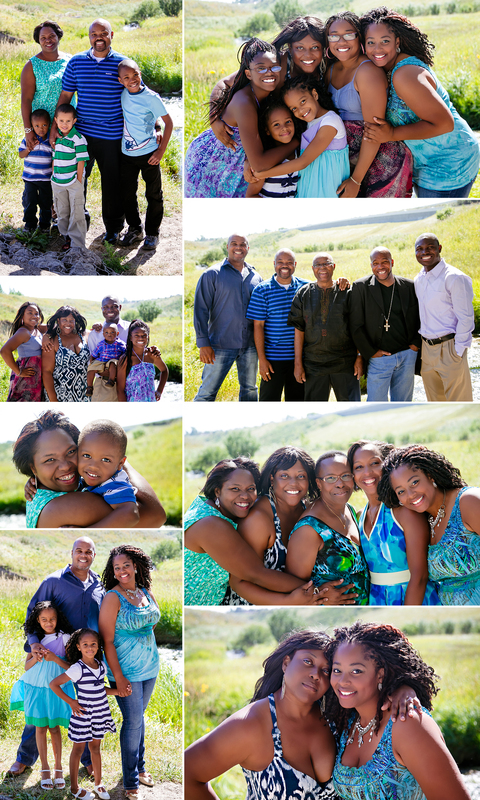 Such a beautiful family to work with, their easy going, fun personalities and warmth lend to the beautiful, sunny weather. Getting everyone dressed and at the location in time to be able to have a family dinner before the flight home had to be a demanding request! I love that they chose soft, sky-blues, teals and denims with earthy browns for their clothing choices to complement each other without overly matching. These colour choices are reflective of both their laid back, fun-loving style and the room the images would grace after the session, these outfits left room for plenty of running, playing, hugs and laughter. Planning for amazing images is not always easy, especially on such short notice. I gave them a few pointers, which I will share with you, and everything turned out just right. As you can see below. Kids are best in the morning when they’re at their happiest. Well rested and fed, a calm, fun energy should make for the perfect shoot time for kids and siblings. Lunch, nap times and evenings are generally more complicated times for the optimal portraits, since young ones are often both hungry and tired at this time. Decide before the shoot what look you’re going for. Where in your home will your portraits be displayed? If in a more formal room, be sure everyone’s clothing is coordinated to this look. If the room is less formal and more “family” keep this in mind as well. Furnishings from desired rooms can also be used if the shoot is in-home, guaranteeing a perfect match to your decor. If possible, get haircuts at least a week before the shoot. It might take a few days to grow into (or fond of) a hair cut, especially if the scissors went amiss. This buffer allows for some growth, tweaks and perfections to the hair style prior to your session. Build up the session to children as it really is—a time for fun and togetherness. You can't buy love, so there’s no need for bribes when the event itself is the reward. Calm your own lens nerves. Relaxed parents have more fun, which helps kids become most comfortable for the best shots. If you bring your pet to the family shoot, more specifically your pooch, make sure to get some brisk exercise with your pup before coming. This will allow for a (hopefully) slightly calmer canine during your shoot. Notice that it is a lot easier than you anticipated? These are basically the only rules that should be considered when planning your session. All other aspects of life are already complicated enough, lets keep your session easy breezy and as much fun as we can.